Harpley's work is familiar to anyone who frequented the past Royal Academy Summer Exhibitions, his female figures often defying gravity, girls on swings, in hammocks or dancers. He exhibited every year between 1956 and his death in 1992. His work was so popular that editions often sold out. Harpley started as a student at the Hammersmith School of Art in 1951 and two years later enrolled at The Royal collage of Art under John Skeaping. 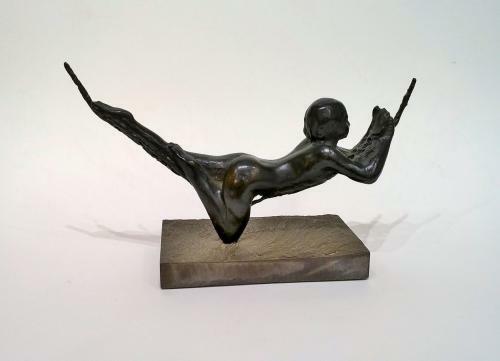 His early influences were Degas and the figures he drew from life, he combined form, movement and lightness which produced appealing sculpture which often had the illusion of floating in space. Harpley became a Royal Academician in 1981 and had a number of international solo shows.